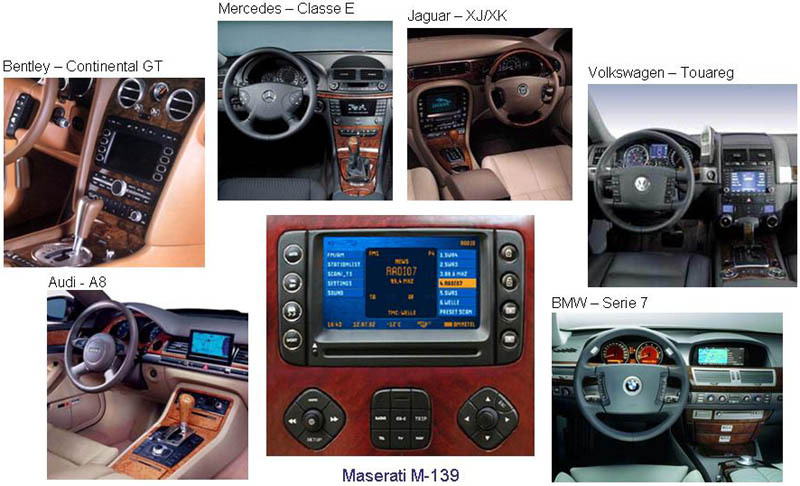 Prior to the launch in 2003 of the Maserati “Quattroporte” we war asked to evaluate how the navigation and infotainment system compared with its then leading competitors: Mercedes Classe E, Jaguar XJ/XK, Volkswagen Touareg, Bentley Continental GT, BMW serie 7 and Audi – A8. 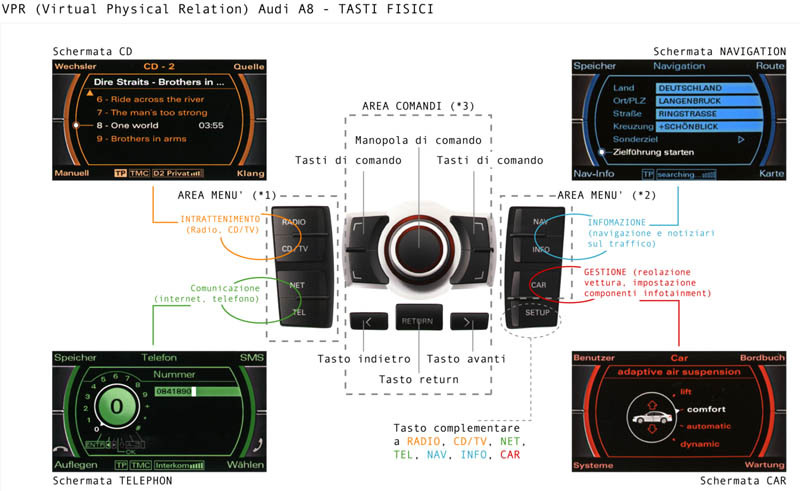 We considered the following: General configuration of the dashboard, configuration of commands, functioning of the screen, logic structure flow, HUI & GUI (Hardware & Graphic User interface): relative brand performance on how the physical controls interact with the screen display. HSD automotive produced a complete schematic map of each OEM Telematic/Infotainment system, this allows for a more complete analysis of the various brand strengths & weaknesses. Above is a comparative analysis, part of a full system review & testing project undertaken for Toyota in 2005. Above is a function by function comparison of an Alpine system. The relative similarity between Asian systems provided a contrast with European systems. It was noted that more Asian clients had difficulty with the logic structure of EU systems than the other way around.